Here you have – in one download ! 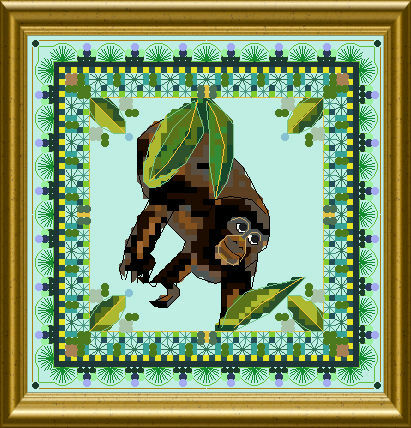 – the brand new design ONL 157 – The Rainforest Mandala. 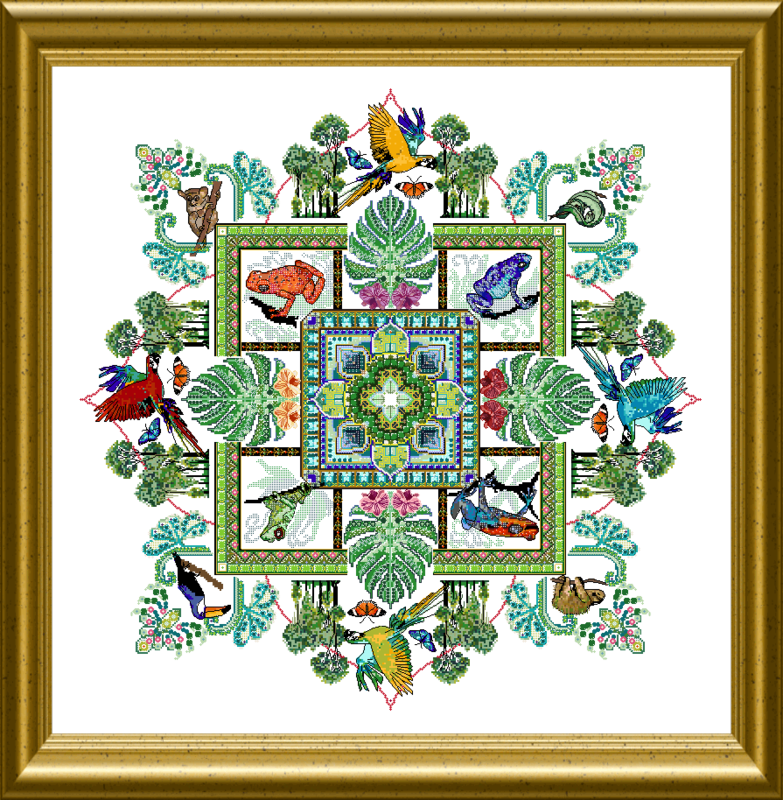 Lush greens, large leafs, butterflies and animals of these forests surrounded by orchids and trees.Beaded Poison Frogs sit quietly in the corners and are surrounded by decorative and minute frames. 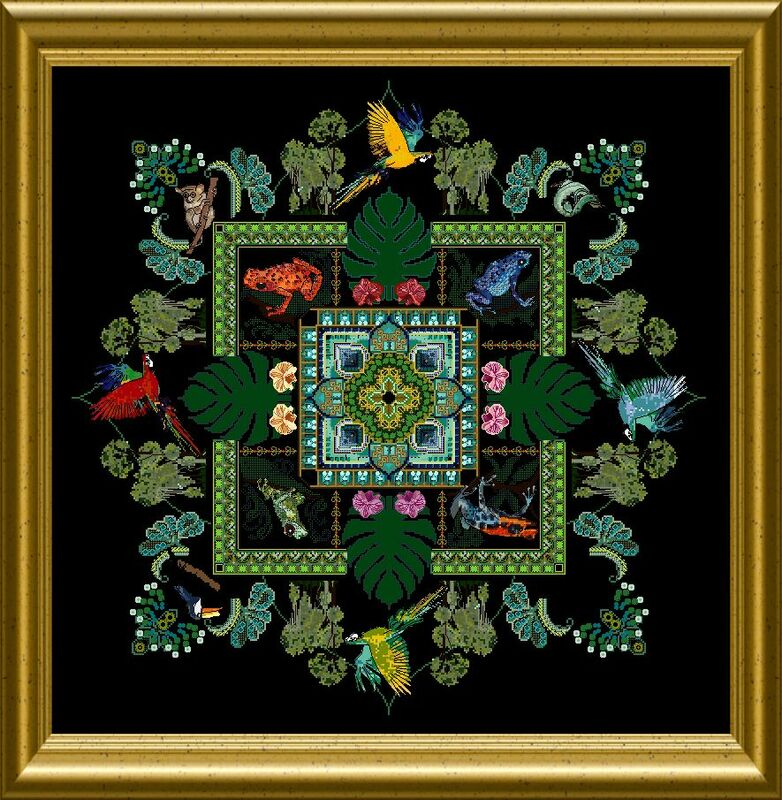 You will find lots of lovely Special Stitches in different sizes, use really really lots of beads and crystals and finally you will have a precious and depicting embroidery of these endangered parts of the world. The size of the mere design is 354 x 354 stitches – you will need to add free fabric to your own requirements ! First, I am one of those people that read all instructions before stitching, so I am not sure where to find the instructions for the outermost frame of the center medallion. The instructions clearly go through all of the specialty stitches of the pointed ornaments up to the brick-like Rhodes stitches in Velvet Night Sky. Then the instructions skip to the Monstera leaves. There seems to be a missing section for the larger framed area that is bounded by PB36 (antique gold). It looks like this area has small Jessica’s, dense Rhodes and tri-color rice stitches. Perhaps I am missing these instructions? I did read the entire pattern and did not see these. Second, there are two icons for Jacob’s Ladder – I see one icon is used in the center medallion and one is used in one of the parrot’s feathers. I am assuming this is correct? I cannot understand how to read the central area – I see there many circles in various solid colors but there are no such items in color list. Perhaps there are beads but they have another symbols in list. Must I register Facebook necessarily in order to see your answer…? all symbols for threads and beads etc. are on the keys. in bw and color. Same symbols are used in the design. There are no solid colored circles on the chart, this could be a problem of your enlargement, display on screen or printer. Facebook is not necessary to read any of my charts, but it will surely help to enlarge the chart, as this is the way it was d esigned. I found out circles were only on page 13 (so unhappy number!) where the central part is displaied separately (you can check by the way) . In quarters of the whole design are correct symbols, thank God. So that I can enjoy stitching! Good Afternoon, I was thinking of getting this after seeing a spectacular version of it on the support group. I was wondering why there is a blank area in the bottom right corner. 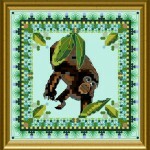 I realize we can switch out the snake in the top right corner for the monkey but what goes in the bottom right corner? Michele , in the bottom right corner “lives” an adorable sloth with a grin in his face. Dear Kim, I always recommend to use a not-hand-dyed color, a solid white, cream or a very very pale grey – to offset the beauty of your stitching and the many details of the design. You would loose a lot of it on a dominant background. So my recommendation is indeed black ( if you are insane :))) – or white.